Yesterday I bumped into a friend. It’s funny; I can’t say she is a close friend because I see her only rarely, and yet, when we do stop to catch up, there is no small talk. Instead we go immediately to the depths of our journeys, sharing the challenges, the growth, the roads we’re on now. What is a close friend if not that? Janine watched her husband slowly and painfully lose his mind, his voice, his body, and finally, just over a year ago, his life. Now she and the kids are carving out new footholds, healing the raw aching places, and moving forward. As Janine says, that chapter of their lives is over now and it’s time to see what’s ahead instead of what was behind. I think about that with Joseph. I remember how, after getting through four years of not sleeping, a year of enemas, intense years of medical and alternative treatments, we saw some great breakthroughs. A dear friend said, “The worst is over.” I didn’t believe her — but, from this vantage point years later, I think she was right. The worst appears to be over. While Joseph took a shower tonight, I ran to the piano and started to play. He’s started lessons lately and it’s inspired me to play again, the piano being one of my great loves. But I knew I could only play for a short time because, in the past, Joseph would scream and yell bloody murder if I tried to play. This time he finished his shower without me knowing it. When eventually I stopped playing, he asked if I would please continue. One of the things I’ve deeply grieved was that I wouldn’t be able to speak of spiritual things with a child who has autism. Au contraire! My son has declared himself to be a Christian Yogi, like his parents. He is earnestly and deeply interested in spirituality. Today, after months of his urging, I finally drove him to the Catholic church so that he could see inside it. While we were there, he asked if we could go for service to every church and temple in town, so that he could see what they were like. How can you say no to a request like that? He’s got a big crush on one of the girls in his class. With only a little encouragement from us, he’s decided to stop picking his nose, start washing his hair, and learn to cook and clean so he can be a more eligible husband. He is even dressing up for special occasions! While the thought of his hopes being crushed stabs my heart, all I can do is encourage him to go for it. Joseph is full of surprises, so who knows what will come? Wherever you are in your journey, I wish you hope, trust, comfort and presence. Twenty-two years ago, on Labor Day Monday, our house burned down. Blue Eyes and I were working fifteen miles away when we got the call. “Yes, everything,” he answered again. “EVERYTHING??? ?” I asked, as the reality started to sink in. Toward the end of our drive home, we turned onto our rural road and five fire trucks passed us, one at a time. We knew where they’d been, and we knew that nothing was left. Ashes. Everything we’d owned was ashes. The fire had been put out, but the burn continued. It felt like a burning to lose so many of the things I loved. It burned to have no clothing, no photos, no toothbrush. It burned to have nowhere to live. It especially burned to be helpless, to be so in need of other people’s generosity. One of the things I remember most about that time was that, only days after the fire, I went to a business convention with a colleague. One of the booths was giving out free t-shirts, as they often do, but they had a restriction: only one per company. They were really nice shirts. George and I looked at each other. “Oh, go ahead,” I told him. However, I said it with an agenda: George knew of my situation, so I was pretty sure he’d insist I take the shirt. He didn’t. Happily, and with some greed, he claimed a shirt in his size and walked away. I remember that burn, too: the indignant burn of one more nice thing that had come close to my grasp and slipped away. 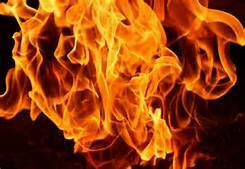 I only write about this because this morning I was listening to Gangaji, and she talked about the burn. I didn’t know anyone else had ever defined it as a burn, so it caught my interest. She spoke of our wants, our desires, and how, when we don’t get them, it burns. That’s why autism can burn. It’s the club we never wanted to join. It’s taking our kids to the social skills group when we’d rather they be in scouts. It’s staying home from the crowded gatherings when we’d rather be part of the gang. It’s often a slow, steady burn, but sometimes it bursts into flames. One of our biggest personal burns centers around music. Blue Eyes and I are very musical, but whenever we try to play music, whether it’s live or on a CD, Joseph has screamed, cried, and basically thrown a fit. We have let that control us for many years now. Recently I taught a yoga class, but arrived without anything to play my music on. A student came forward with his Jambox, a great-sounding little speaker that played my music beautifully. I was so pleased that I came home and ordered one for myself. How, though, to deal with the Joseph Factor? — I wondered. I decided to start in one place: my bathroom. When I took my morning shower, I played music, loud enough that I could hear it with water raining down around my ears. When Joseph complained, which, of course, he did, I expressed empathy, but told him it was my Jambox and I could do what I wanted with it. If he didn’t like it, he was welcome to leave the area. After a few times, the crying, moaning and complaining stopped. Then he started hanging out in the bedroom next to the shower so that he could listen to the music. Then Blue Eyes started playing while he took his shower. No complaints this time. 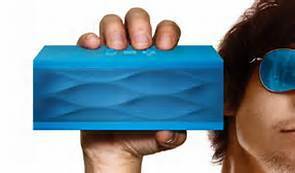 My next push is going to be to play a little bit of Jambox while I make dinner. This ought to be good. Get ready to burn, Joseph. He still hates my harmonium (keyboard) playing, though. I used this to my advantage the other day. Joseph was messing around, taking a long time to get ready for bed. I was nagging him to stay focused, hurry up, and all the other parental drones that happen around bedtime. Then my Love and Logic training kicked in, and I stopped nagging. I remembered that I can’t control Joseph. The only person I can control, with any success at all, is myself. And indeed he did. For a few minutes. Then he forgot and started mucking around again. I didn’t say a word. Just sat down and played a lovely, uplifting chant on my harmonium. By the time it was over, I felt better and Joseph was completely ready for bed. Can’t beat that! In the Hindu world, the fire ceremony is a sacred act of purification. You offer into the fire all the obstacles, desires, etc that are blocking you from Self-realization — from knowing your oneness with the Divine. Twenty-two years ago, Blue Eyes and I had a big, real-life fire ceremony, but, happily (I guess) the burning continues. My wish for you and for me is that we experience the burning with gratitude and awareness, knowing that what is being burnt is all that is non-essential to our highest Selves.